The new film Loving, written and directed by the masterful auteur Jeff Nichols, tells the true story about the marriage of Richard and Mildred Loving in the 1950's. Because of the laws against interracial marriage in Virginia at the time, they were forced to leave the state in order to legally wed, but when they returned to their home intending to spend their lives together the police quite literally pulled them out of their mutual bed and arrested them. It's horrifying to witness and yet the biggest compliment I can pay Nichols, and the very reason why I love his films so much, is how quietly he delivers such powerful material. This exact same film could have been made by so many other filmmakers and it wouldn't be nearly as good. It just wouldn't, and it is easy to see where it likely would have steered in the wrong direction. During scenes that typically would lead to actors delivering an emotional monologue with anger, just begging to be a clip shown at the Oscars, Nichols doesn't ask for it. Instead we feel the pain that comes with their acceptance of an unjust reality when, instead of anger and verbose dialogue, these characters say little to nothing at all. They merely hang their heads and leave us, the audience, to question what sort of society would incarcerate on the sole grounds of who one loves. 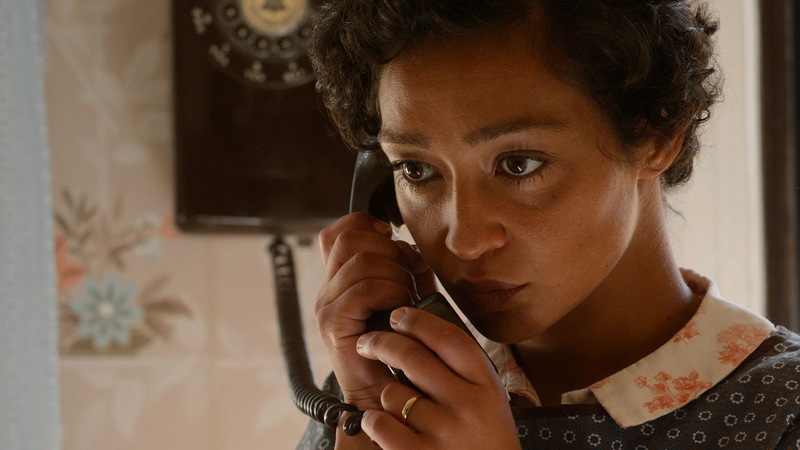 Nichols' ability to collaborate with Ruth Negga and Joel Edgerton, whom play Mildred and Richard, is what harnesses the entire soul of the picture. This is a performance driven story featuring subdued performances, which seems impossible yet it works from start to finish. It's crucial to remember that "subdued" is not a criticism but rather a compliment. Negga and Edgerton are honest and so profoundly authentic that they don't need to always be saying something in order to speak to us, and this is a familiar aspect for me when it comes to Nichols. I felt it in Shotgun Stories, Mud, Midnight Special and most of all his masterpiece Take Shelter. He tells stories with such eloquence and beauty and with so little exposition, which for some is probably a turn off because it might feel like a lack of detail regarding what came before with his characters leaves the viewers in the dark, but I don't see it that way. For me, it speaks to his desire to tell a story that is here, now, right in front of us. Nichols allows us to fill in those details on our own, and whether it involves a fictional world he built from scratch or one portraying a real and essential reality like in Loving, it has worked across the board. I don't need to understand the mindset of Richard and Mildred leading up to meeting in order to comprehend their love at a time when it was unusual and frowned upon. What matters is that they are in love, and that their relationship would be a landmark moment for progressives as their long fight to legitimize what they felt resulted in the Supreme Court ruling unanimously in their favor in Loving v. Virginia. Loving could have been manipulative and cliched and forced the predictable forbidden romance tropes on us, yet it avoided all of it gracefully and seemingly with ease. Who needs manufactured emotion when it is so pre-baked into the truth? What is essential is the right cinematic voice to deliver it, and Nichols is exactly that.